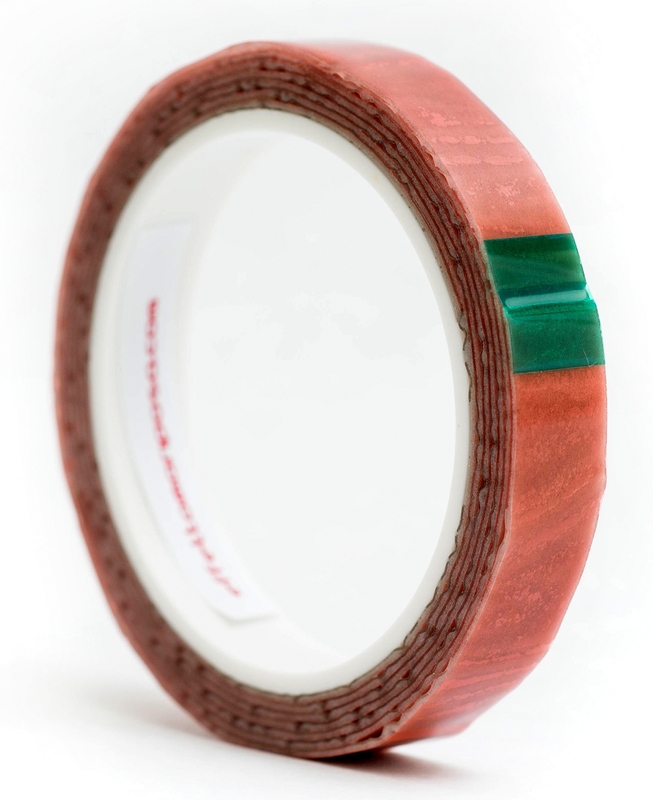 Carogna Tubular Tape by Effetto Mariposa is double adhesive, pressure sensitive tape for gluing tubular tires onto aluminum or carbon rims. 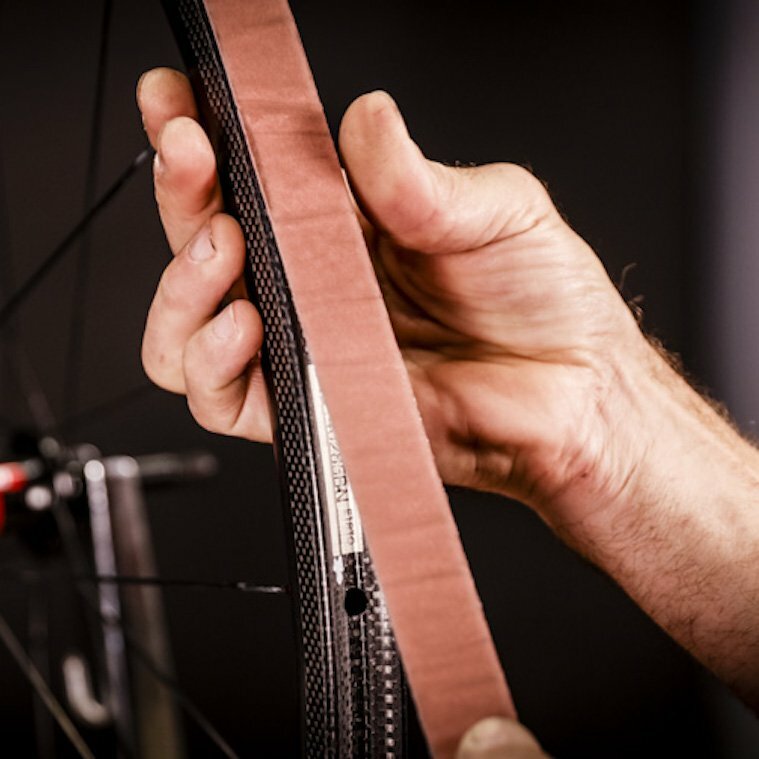 Universal performance: Carogna has been tested and is designed to perform flawlessly on any rim material (aluminum, carbon), with any tubular (seamless, handmade, vulcanized sew-ups…), on and off-road (cyclocross, mountain bike). Carogna is available in 3 widths, and each width is available in two sizes - 2m roll (enough for 1 wheel) and 16 m "shop roll" (enough for 8 wheels). Watch Lennard Zinn of VeloNews show you how it's done. 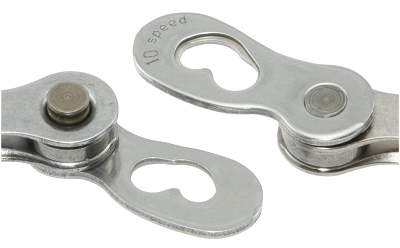 Read great Carogna reviews from Bicycling and VeloNews here. 1. Clean gluing surfaces, both on the rim and the tubular, with isopropyl alcohol (or other dry, fully evaporating degreaser) and let dry. Then pass a clean, dry cloth over the rim. 2. Starting just over the valve hole, apply Carogna onto the rim without removing the orange protective liner. 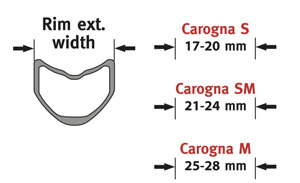 Keep Carogna slightly tensioned, so that it sticks to the rim channel on its whole width, for the complete rim circumference. Stop immediately before the valve hole, cutting away the excess tape. 3. Peel off the orange liner for 2 inches on both Carogna ends and fold to the side. 4. Fully deflate the tubular, then mount it on the rim inserting the valve in the valve hole first. The orange liner ends should be accessible on the side when the tubular was mounted. 5. 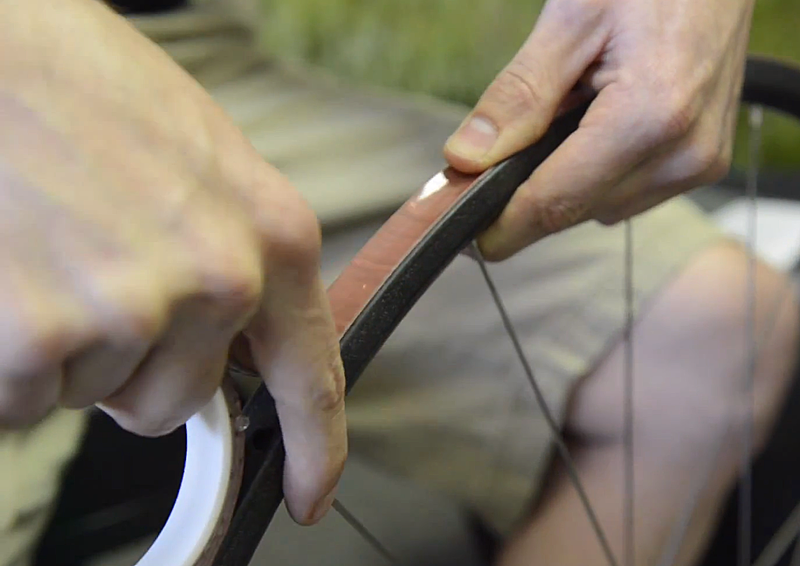 Once mounted, inflate the tubular to around 60 psi (30 psi for cyclocross and mtb tubulars) and adjust its position, centering it on the rim. 6. After the tubular is properly centered, without deflating, pull one loose end of the orange liner perpendicular to the tubular until you completely remove it from the whole rim circumference. 7. Inflate the tubular to its maximum pressure so that the glue is fully activated. 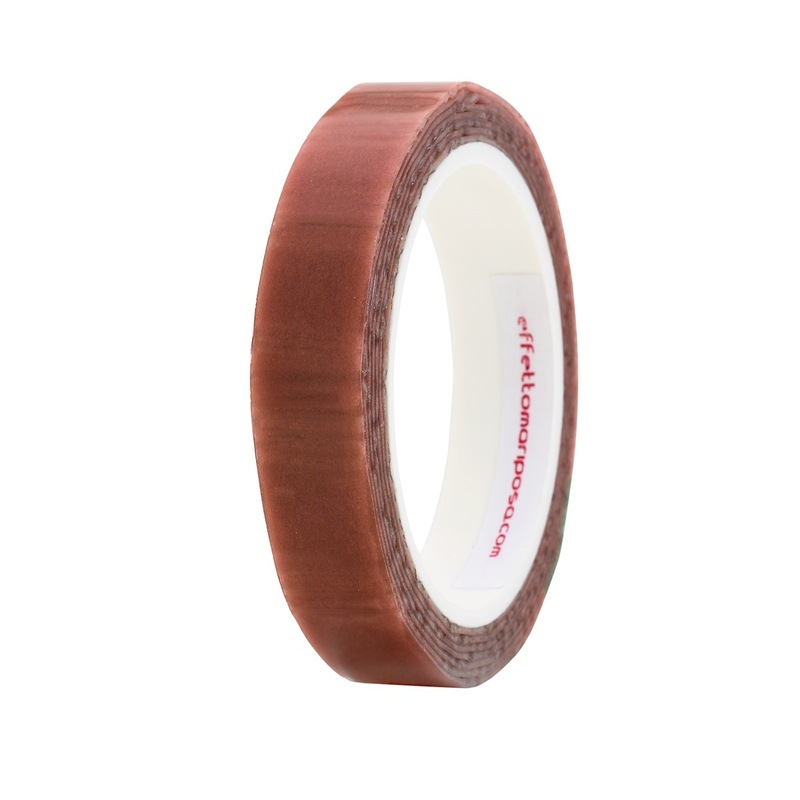 Adhesion reaches 80% of its maximum strength after 8 hours, and the optimum value of 99% after 24 hours.